This simple to use, touchscreen-controlled bench-top freeze dryer is packed with useful features. 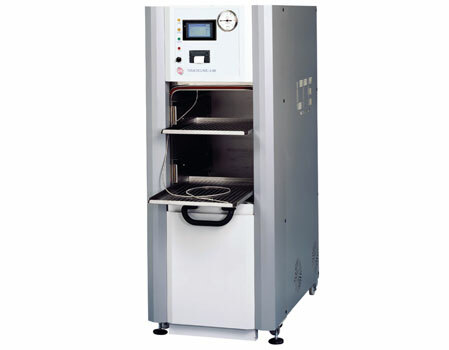 The Lyotrap freeze dryer has an ice capacity of 5kg (3kg in 24hrs) and incorporates an electric defrost facility. All cycles are logged and can be downloaded via USB. Real-time graphical display of temperature and vacuum is included as standard. This model offers two minimum temperature options: -55°C and -85°C.